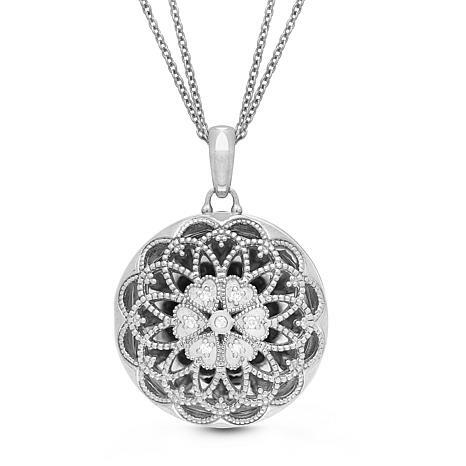 Milgrain textures and sparkling diamond accents give this lovely locket a vintage vibe with contemporary appeal. Its textured, openwork design allows a peek at the photo beyond, making each piece as unique as the woman who wears it! 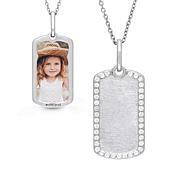 Personalize it with a special photo for a pretty, polished piece you'll be wearing for many years to come. The diamonds in this piece are graded at H-I color (near colorless) and I1-I2 clarity (inclusions are obvious lunder 10X magnification).